Scott comes out into level 3 the grocery store parking lot loaded down with bags and looks around for his car. When he doesn't see it, he tries level 4. Defeated by his poor navigation skills, he tries hitting the unlock button on the key fob to make the lights flash. He hears the car chirp a level up, but a bottle of milk takes the opportunity to make an escape. It rolls underneath a car... and then rolls back in his direction slightly leaking. Scott hears growling and makes a run for it. He runs down to level 3 and hides behind a car, then quickly realizes that his racing heart will give him away. In a stroke of genius, Scott starts jumping on all the nearby cars to set off their car alarms. His heartbeat will be hidden by the cacophony. Scott hides again on level 2. It looks like he's succeeded in making his escape, until his cell phone starts going off. Derek grabs him by the shoulders, lifts him up, and slams him down on a car. "You're dead." Scott is incensed. "What the hell was that!" "I said I was going to teach you, I didn't say when." Scott tries to get some kind of compliment out of Derek on his speed or wits, but Derek doesn't budge. Scott yells at him to stop. The Sheriff got hurt the other night in the school parking lot, and Scott blames himself. He wants to know how to control his abilities now, but Derek tries to explain to him that it takes bitten people a while to learn, if they can learn at all. He's never tried to teach someone to be a Werewolf before. Derek tells Scott he needs to get rid of distractions. He grabs Scott's phone, which says he missed a call from Allison. Allison, he says, is the reason he caught Scott and she has to go. When Scott asks if it's just because of her family, Derek chucks his phone in the wall, smashing it. He tries to get Scott angry, because tapping into a primal animal rage is how he can call up the shift at will. Or, at least, it's the only way that Derek knows how to teach him. 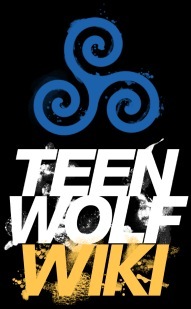 Derek asks if Scott can stay away from Allison until the full moon. Angered, Scott tells him he can if that's what it takes. So naturally, Scott goes straight to Allison, and they make out on her bed. She strips his clothes off first. They're pretty hot and heavy when there's a knock on the door. Allison hides Scott in her closet but notices that her bra is missing. She tries to hide this from Kate and tells her aunt that she's emailing PETA about how her father shot a mountain lion in the parking lot. Kate wonders if she's trying to get him in trouble because she's grounded. Allison replies that she's not going to be whiny and tell him she hates him, even though she does. Kate asks if Allison is doing anything she can help with. Allison has a school history project to work on about her own family history. Kate tells her to look up La Bête du Gévaudan, "The beast of Gevaudan." The beast killed over 100 people. Kate compares the animals attack then to the animal attacks in Beacon Hills. Allison asks what the beast was, but Kate just tells her that whatever it was, it wasn't a mountain lion. Allison tells her that the drawing looks like a wolf. Scott can feel fate closing in on him. It's clear that Kate is trying to tell Allison about Werewolf and the Argents' history with them. After Kate leaves, Scott jumps down from the roof and says goodbye to Allison. As he's leaving, he hears growling and thinks it's Derek. He tells him that he couldn't stay away because with a busted phone he can only talk to people in person and had to talk to Allison at least once more. Scott quickly realizes that it isn't Derek, though, and makes a run for his car. The alpha stalks around the car and then draws a spiral in the frost on the window. Scott hurries home and up to his room. He closes and locks the window, then peers out between the blinds. When he turns the light on, Derek is sitting in his chair. Scott jumps and tells him to stop doing that. Derek ignores him and asks what happened. "Did he talk to you?" "Yeah, we had a nice conversation about the weather." Derek asks if Scott got any other information off of him, but Scott doesn't know what that means. Frustrated, Derek reminds him that he has other uselful senses. "What kind of feeling did you get from him?" Scott tells him he felt anger, especially when he drew the spiral. Derek's entire expression changes, and he tries to leave without telling Scott what it means. Scott insists that he stop keeping secrets, and when Derek tells him again that it doesn't mean anything, Scott points out that Laura was buried under that same symbol. With a look of sadness, Derek pats Scott on the shoulder and tells him that he doesn't want to know what it means, then leaves. Scott crawls into bed and tries to remind himself to stay away from Allison. The next day at school, he's still repeating this to himself. He turns around when he sees her and diverts when he sees Jackson, too. He gets to history class, but Stiles isn't happy to see him. He's been giving Scott the silent treatment. Scott asks if the Sheriff is okay, hoping it's just some soft tissue damage. Stiles still doesn't answer. Scott goes on to tell him that he's gone to Derek for help, which finally gets a reaction. Stiles thinks Scott is an idiot for trusting him. He tries not to be interested or to care about what Scott is learning, but he can't and eventually asks what Derek had to say. After class, Stiles is confused how tapping into primal anger is going to help, since whenever Scott gets angry he tries to kill someone. Scott is confused too, and he thinks that Derek probably has no idea what he's doing. Stiles decides to take over as teacher. Derek is picking Scott up after work, so Stiles has until the end of the school day to come up with something better. In the lunchroom, Allison reads the legend of La Bête du Gévaudan to Lydia, who is supremely bored by it all. Allison announces that the hunter who finally killed le bete was named Argent. Lydia still isn't impressed that her ancestors killed a big wolf, but Allison isn't sure it was just a wolf. She turns the book around and shows Lydia a drawing of a large creature with red eyes. Lydia stares at it, clearly recalling something she doesn't want to, but she covers herself and announces that it still looks like a big wolf. Scott hides behind his World History textbook, trying not to let Allison see him. Stiles thinks he's an idiot and points out that Allison is reading anyway. Scott asks Stiles if he's come up with a plan and then whether Stiles is over hating him now. "No, but your crap has infiltrated my life, so now I have to do something about it," Stiles replies. They are dorks as Stiles claims he will be Scott's Yoda and Scott fails to find this as amusing as Stiles thinks he should. Stiles steals Scott's textbook and heads off. Allison catches glimpse of Scott and tries to talk to him, but he runs away and into the boys bathroom. Later, Scott and Stiles head out to the lacrosse field. Stiles hands Scott one of the heart rate monitors from the Track team. Stiles figures that learning to control wolfing out is tied to learning to control his heart rate. Scott smiles. "Like The Incredible Hulk!" He puts the monitor on, and then Stiles duct tapes his arms behind his back. Stiles steps back, turns on the monitoring app, and then starts throwing lacrosse balls at Scott. Scott is supposed to try to stay calm as he gets hit. Jackson wanders by the field and stops to watch as Stiles pummels Scott. Eventually, Scott gets hurt enough that he's knocked to one knee. The closer Scott gets to changing, the worse Jackson looks. Scott starts to change and breaks the duct tape, but he doesn't change entirely. Stiles rushes over, and Scott tells him that the angrier he got the stronger he felt. Scott concludes that he can't be with Allison because she makes him weak. Inside the boys locker room, Scott and Stiles discuss whether Scott has to stay away from her for just a few days or forever. Scott thinks that the reason Derek is totally alone is because Werewolf can't have love lives. He despairs that he'll never be able to be around Allison. Stiles assures him that they'll find a solution. As they leave, Scott says it smells like something is rotting or dying in the locker room. Jackson comes around the corner, sweaty and pale and looking generally ill. He takes his shirt off, then the bandage on his neck. The claw wounds are still bleeding. Jackson hallucinates retching up wolf claws. Jackson finds Allison sitting in the hallway reading her mythology book. He sits down next to her, and she tries to pretend like this is normal. She asks him if he wanted something, and he says he wants to talk. He apologizes for being a jerk to her and to Scott, much to Allison's surprise. She replies that she doesn't think he's being sincere. He tries to explain to her what it felt like to be the star of the team and then suddenly have some kid come along and take that away from him. He says it feels like something's been stolen, and he'd do anything to get it back. Allison tries to make a joke, "Haven't you learned there's no I in team?" "Yeah, but there is a me," Jackson replies. The joke falls flat, and Jackson realizes that she must really hate him. She claims she doesn't. Jackson says he really likes her, which she suspects is a come on, but he adds Scott's name in there, too. He wants them both to like him. Jackson leans in to ask Allison what she's reading, and she recoils from him. In Economics with Coach Bobby Finstock, Scott tries to get Stiles to take the chair behind him, but Allison is too quick and takes that seat instead. She asks him when he's getting his phone fixed and tells him she changed lab partners so they could study together. Scott is visibly distressed at this, which she doesn't understand. He tells her that he doesn't want to bring her grade down. She offers that she could bring his grade up, and Stiles just rolls his eyes. Allison tells Scott to be at her place at 8:30. Coach Finstock asks for a summary of last night's reading and calls on Scott. Scott didn't do the reading, and Finstock makes a sarcastic reply. When he asks Scott if he's familiar with sarcasm, Scott glances over at Stiles, who smiles proudly. Finstock tells Scott that he can't keep him on the lacrosse team if he has a D in the class. Finstock starts shouting at him, asking to summarize the previous night's reading, or the one before that, or anything he's ever read in his whole life. Scott's heart rate picks up as Finstock berates him, and it gets almost high enough to make him shift. Suddenly, though, the monitor drops. Stiles looks over to see why and sees Allison holding Scott's hand. After class, Stiles tells Scott that he's figured it out. Scott calms down when he thinks about Allison. The night he was at her house and the night of the lacrosse game, there wasn't just pain, Scott was thinking about her. Stiles explains that Allison doesn't make him weak, she gives him control, like an anchor. "You mean because I love her." "Exactly." Scott is thrilled by the realization that his is actually in love with her, while Stiles is still focused on how Scott can use this information to control himself. He gets an idea, and it might be one that gets Scott in trouble. Stiles takes Scott out the parking lot and tells him to hold his keys up. He advises him to think about Allison and concentrate on the sound of her voice, then keys a nearby truck. The older students start beating up Scott. As his heart rate rises, Scott starts hearing things farther away. He hears Allison talking to someone on the phone, and it's enough to keep him under control. Mr. Adrian Harris breaks up the fight and asks Scott and Stiles what they think they're doing. Derek visits Uncle Peter in Beacons Crossing. He says that he needs his help and asks Peter to give him a sign if he can hear him. "Someone killed Laura, your niece. Laura. Whoever he is, he's an alpha now, but he's one without a pack, which means he's not as strong." Derek thinks he can kill him, if only he can find him. He asks Peter if it's another Hale, if someone else might have made it out. He begs him to give him any information. Derek yells at him in frustration, and a nurse comes in yelling at him to calm down. She says that Peter will respond if given more time. Derek storms out, and after he's gone, Peter raises a finger. Outside, Derek finds a note on his car. Stiles and Scott are stuck in detention. Scott complains that he's supposed to be at work and doesn't want to get fired, but Mr. Harris doesn't care. Scott asks Stiles if he got him beaten up in part to help him learn and in part to punish him. Stiles agrees to both. Scott tells him that he can't have him being angry with him. Stiles admits that he's not angry anymore. He's tired of Scott trying to pretend like great powers don't come with great responsibility. Derek goes to the Animal Clinic, and Deaton asks if he can help him. Derek asks him about a deer 3 months ago that had a spiral on its side. Deaton tells him that he was called to give an opinion on such a thing and reported that he'd never seen anything like it. Derek stalks forward asking if he heard the sound of his heart beat rising. Derek grabs Deaton, hauls him over the exam table, and then ties him to a chair. When he comes to, Deaton tells Derek where the keys to drug locker are. Derek replies that he just wants to know why he's lying. Derek lifts Deaton and the chair he's tied to off the ground and demands to know who he is and who he's protecting. Scott shows up then and yells at Derek. Derek drops Deaton and punches him, claiming that when he's unconscious he can't keep himself from healing. Scott tries to get between them, and Derek tells him that the spiral is their sign for a vendetta. "It means he won't stop killing until he's satisfied." Derek goes to hit Deaton again, but Scott wolfs out and grabs his arm to stop him. Derek stares, surprised, and backs off. "Hit him again, and you'll see me get angry," Scott says, shifting back. Derek paces while Scott cleans Deaton's wound. Scott tells Derek to meet him in an hour in the school parking lot. Stiles and Scott arrive at the school, and Stiles declares this a terrible idea. Scott can't think of a better one. Stiles pulls bolt cutters out of the Jeep. Derek pulls up with Deaton bound in the back seat. The boys head off toward the school. Scott says that he's going to see if he's linked with the alpha. They head to the principal's office. Stiles asks what Scott plans to do if the alpha doesn't show. Or what he plans to do if he does. Scott has no plans either way. Stiles told him that wolves howl to signal their position to the pack. So Scott caterwauls pathetically into the PA system, sounding like a strangled kitten. Derek cannot believe these idiots. Stiles gives Scott a pep talk telling him to be a Werewolf, not a teen wolf. Scott takes a deep breath, his eyes glow, and he roars. It rattles the doors, the lockers. Outside, Derek looks impressed and a bit distressed. When the boys come back out, he says he's going to kill both of them for making such a racket. "What are you trying to do, attract the entire state to the school?" Scott apologizes for how loud it was, but Stiles just laughs and says it was awesome! "Shut up," Derek replies. Stiles gives him a look, "Don't be such a sour wolf." Scott then asks what Derek did with Deaton, but Derek doesn't know what he's talking about. He turns around to see the car door open. A second later, the alpha stabs his claws through Derek's back and lifts him off the ground. Derek coughs up blood, and Scott and Stiles run back toward the school. The alpha throws Derek against the school building and leaves him for dead. Scott and Stiles pull the school doors shut with no way to lock them.